The Serpentine Community Farm was set up four years ago and had faced a constant struggle to stay on the site of the Serpentine Nursery. Other sites had been considered but none proved suitable. Meanwhile the site had been transformed from a neglected dilapidated space into a vibrant community garden, a haven for the young and old, the green fingered and the not so green fingered. It became a place to learn and a place to share knowledge. A few weeks ago High Peak Borough Council gave notice that they wanted the Community Farm to vacate their base on the Serpentine site by 31st July 2018. Denied even the opportunity ti water and harvest the plants that were growing, the process of packing up and storing equipment began. But on the 19th July High Peak Borough Council had a change of heart and reconsidered their decision. They offered the community farm an eighteenth month temporary lease while a more permanent solution was sought. Great news indeed. On the last Sunday of the 2018 Festival the community farm hosted a fringe event "Give Peas a chance." This is Andy's short video celebrating the community farm, the people and its future. Not many people know that Chile is the world’s largest miner of copper ore. At the San Jose mine on 5 August 2010, a collapse left 33 miners trapped. They were 700 m underground and 5 Km from the entrance of the mine. “Trapped” tells the story of how they survived for 69 days until their rescue. The Experiential Theatre Company told this story in a way that does justice to its name! Into the cavern we boldly go, holding on to a thick rope in single file. On reaching the poached egg chamber, one of our guides unexpectedly fell and screamed to the others, rocks fell clattering and there was darkness. Real darkness and screaming!!! Slowly the lights on our helmets came back on and we were Trapped. The “miners” panicked as they fought and cried. They calmed, becoming “strong in turns” just as the miners in Chile. There emerged an espirit de corps through which they supported each other demonstrating strength through unity. We were there and being immersed in the action, were given an authentic experience. The lighting of the cavern, with dramatic images and the haunting voice of the live soloist echoing through, completed the picture. Then the moment of rescue arrived. For us, it had been an hour while for the miners they were there until 13 October. On our emergence from Poole’s Cavern we all felt a little awed and shaken by this very physical experience. Perhaps also with a little more understanding of the miner’s leader, Luis Urzua, and a sense of how hard it must be to work safely when profit comes ahead of people. Thanks go to Buxton Civic Association and their team for hosting such a creative, relevant and poignant performance. We have wonderful news. 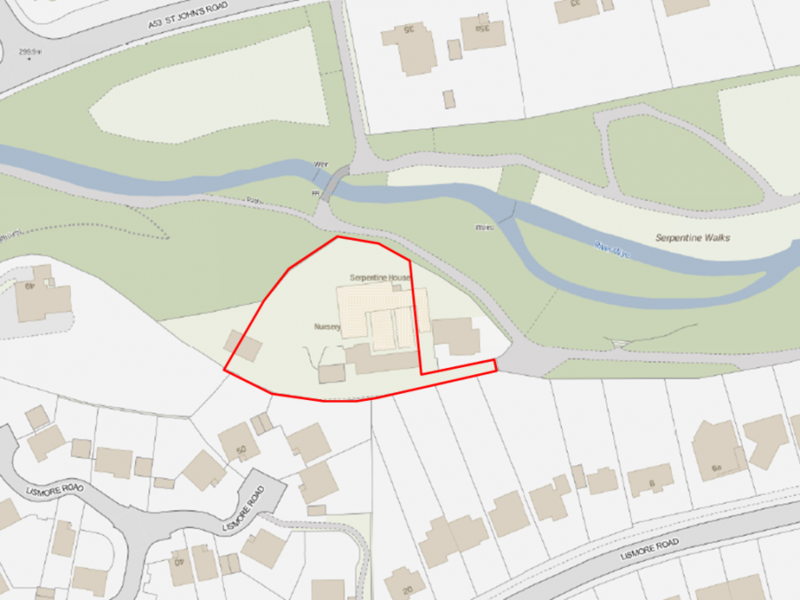 High Peak Borough Council is stopping all works on trying for residential development within Serpentine Walks. The Serpentine Farm is to be offered a lease on the whole site, including buildings until 31st December 2019 as discussions open on the long-term future - whether a long lease or outright purchase at a suitably discounted price. Thank you to all our followers for the support and leads you have given us.